The Wabbit had another long wait. It was several hours since Lapinette went shopping and there was nothing else for it to lope around with intent. He'd been to the bookshop, two museums and the market. He'd been to the station to look at the trains. He went up on the tethered air balloon and took down on the city to try and see Lapinette. Finally he'd watched a football match on television in a shop window. Just when he'd begun to think she'd never arrive, Lapinette hopped into the square wearing a brand new frock. "Wow!" said the Wabbit, "that's splendid!" Lapinette pirouetted. "I got in the Scottish shop." "I didn't know there was a Scottish shop," gasped the Wabbit. "It's new," said Lapinette. "There are kilts, sporrans, sgian dubhs and claymores." The Wabbit's jaw dropped several centimeters. "They've got haggis, herring in oatmeal, black buns and porridge." "No Irn Bru?" asked the Wabbit. "There's Irn Bru beer," said Lapinette with glee. The Wabbit reeled. "Music?" he asked. Lapinette was waiting for that one. "Pipe bands, Shetland fiddles, traditional folk and Scottish modern jazz!" The Wabbit hopped up and down. "Where is this place?" You'll never find it," said Lapinette. 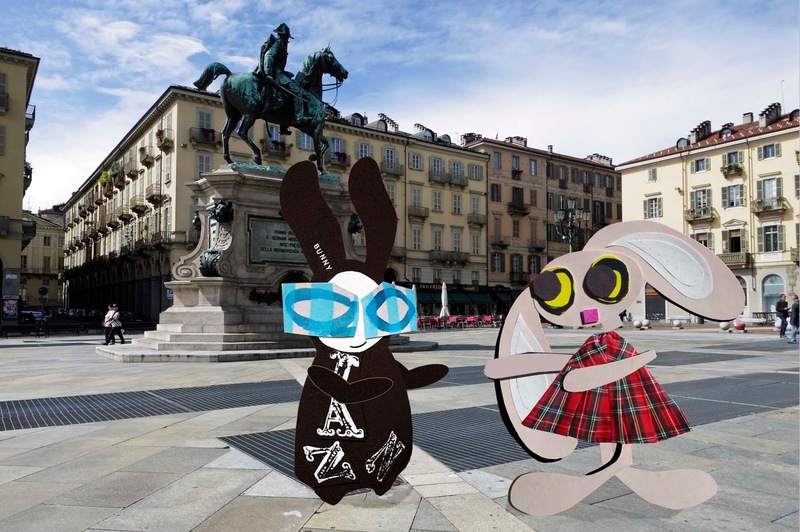 The Wabbit felt the fabric of Lapinette's kilt and raised an eye in approval. "It's out in Sassi," said Lapinette finally. "Ah," said the Wabbit with a knowledgeable smile, "Nessie lives out there. What's the shop called?" "The Comfy Kilt Ceilidh," said Lapinette.